6 October sees the release of long-awaited and previously unreleased material by seminal English punk band The Clash. A live album will feature the entire 15-song set from the band's legendary performance at New York's Shea Stadium on 12 October 1982, when the band opened for The Who. 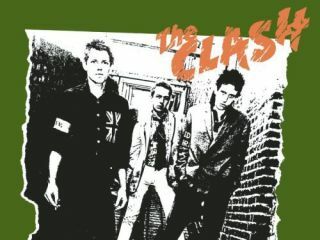 The set includes such Clash classics as Should I Stay Or Should I Go, I Fought The Law, London Calling and Clampdown, while the band line-up features drummer Terry Chimes alongside Joe Strummer, Paul Simonon and Mick Jones. Chimes played drums on the band's eponymous debut album, and was drafted back in due to Topper Headon's growing drug problems on the Combat Rock tour. Chimes would later have an unpredictable career path, including stints with Billy Idol and Black Sabbath. Details have also emerged regarding a new book about The Clash, set for an October release. The Clash By The Clash hits the shelves on 3 October and has been compiled from extensive interviews with members of the band.